I’m so excited about today’s post. As a Calgary wedding photographer, I have had some amazing clients this summer who handed over the reigns and let me really get my creative juices flowing when planning their shoots. For Rob & Dayna, it all started with the idea of a 1960’s summer resort, like the one in Dirty Dancing. From there we thought, “why not take it one step further” and actually have Dayna & Rob put their own spin on some of the infamous scenes? See if you can pick some of them out. The idea was to hint at the past but also create beautiful pictures that represent Dayna & Rob today. The light was soft & buttery, these two had some moooves and I just love the nostalgic feel we captured. 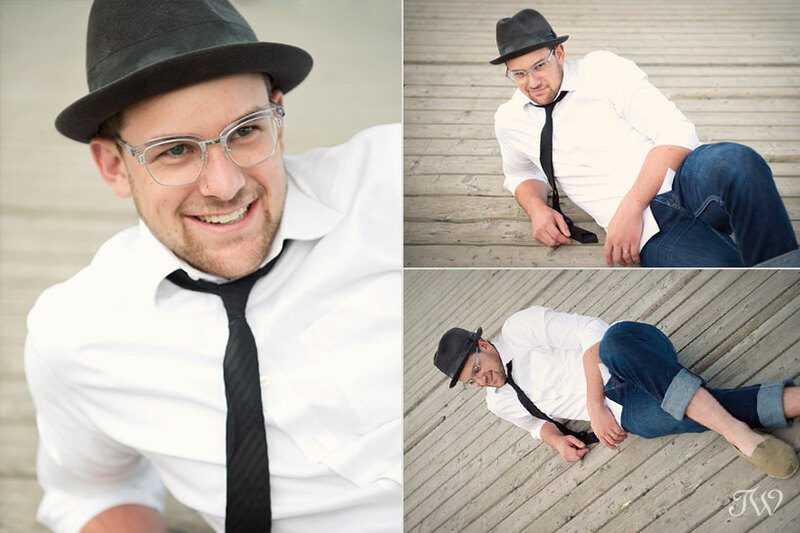 Dayna & Rob, I had so much fun with you guys and I hope you will enjoy these photos for years to come. WhenI see these photographs, scenes from Dirty Dancing come flooding back. “I carried a watermelon”. You may have to watch the movie again now to refresh your memory. “How you call your loverboy”? “My sweet baby, you’re the one”! “Nobody puts Baby in the corner”? I loved Dayna’s fishtail braid. These images with the water reflecting on Glenmore reservoir may be some of my favourites from the night. Thanks to the ladies at A Vintage Affair for helping us pick out a summery, white eyelet dress for Dayna. Can you make daisy chains? This morning I was doing some editing and came across this photo – LOVE!! Doesn’t it just say “summer”? More to come from this shoot soon. 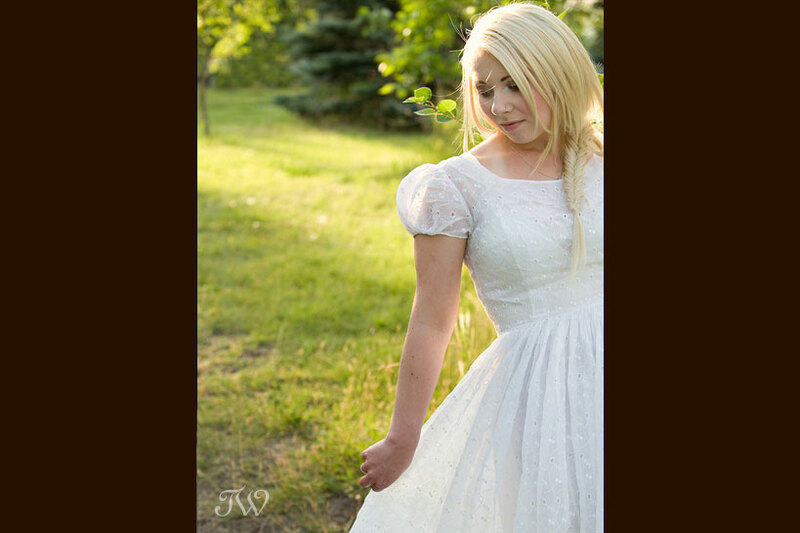 Just wanted to give you a taste of Whitney & Tyler’s sizzling, Saturday wedding at the Cochrane Ranchehouse. 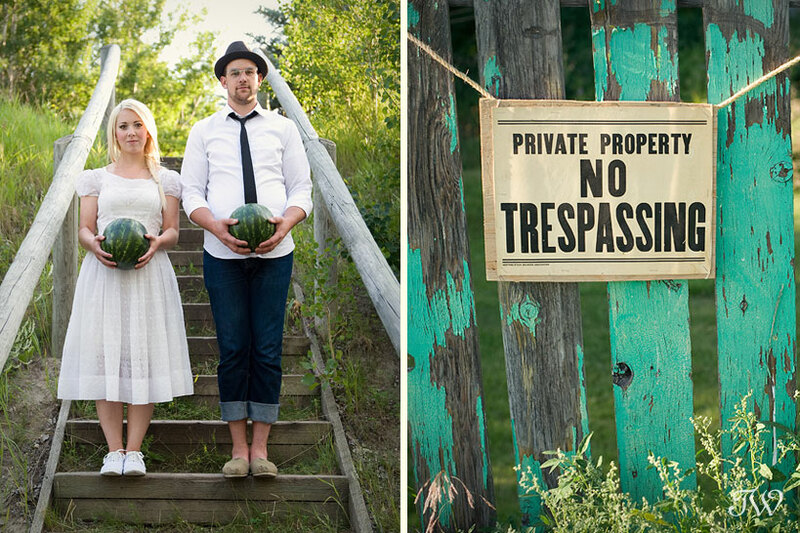 The Ranchehouse is the perfect venue for rustic weddings in Calgary. 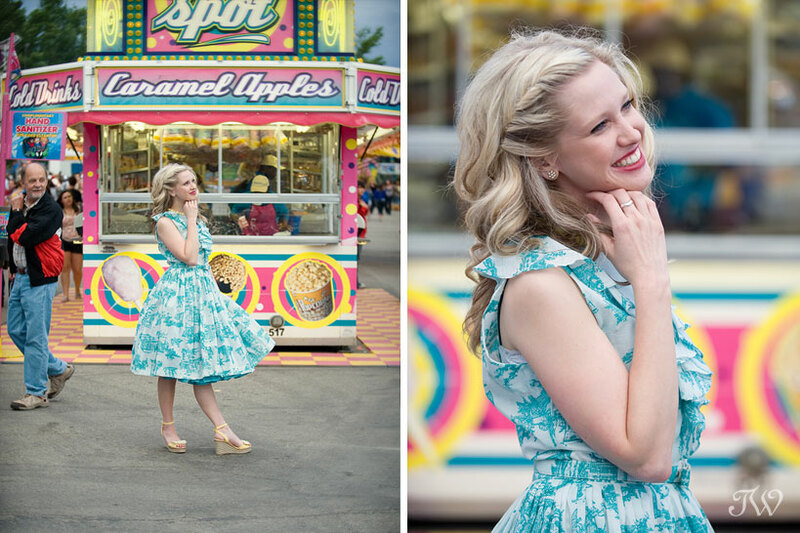 Stay tuned for more on this wedding, filled with vintage, Alberta charm. Congratulations you two!! As a native Calgarian, I’ve been to the Calgary Stampede many a time. Year after year, a lot of things remain the same, right? 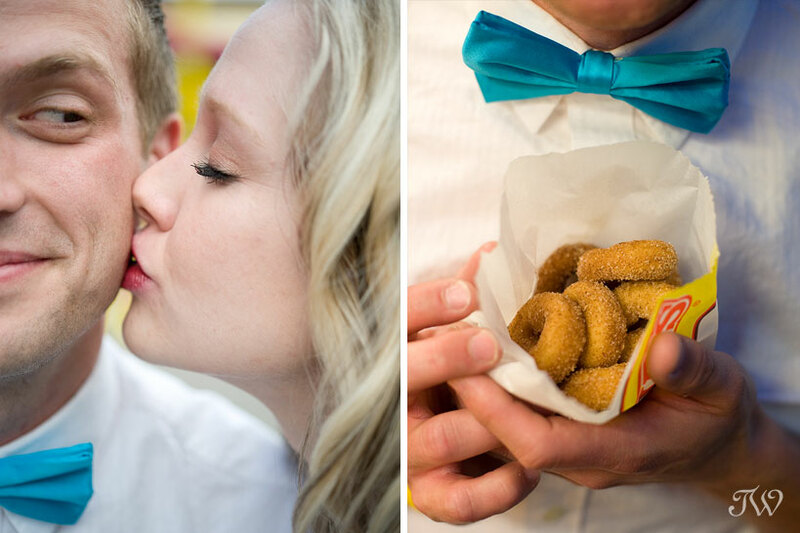 The rodeo, the grandstand show and fireworks every night, a colorful display of city folk decked out in Cowboy hats, corn dogs and of course, mini-donuts. Don’t get me wrong, this is all what makes the Stampede great. This year was a little different though. 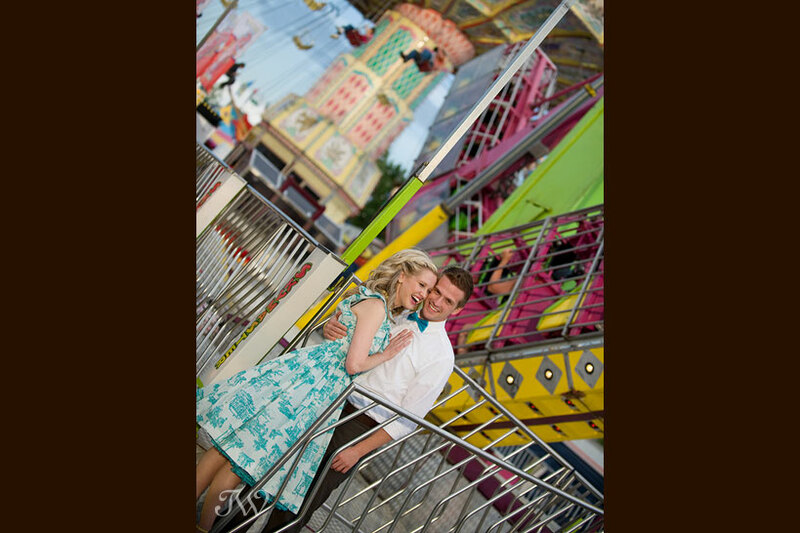 First of all we had some Royal visitors and secondly, Kristin & Jon put away their boots & hats and embraced the 1950’s for a love shoot on the midway. 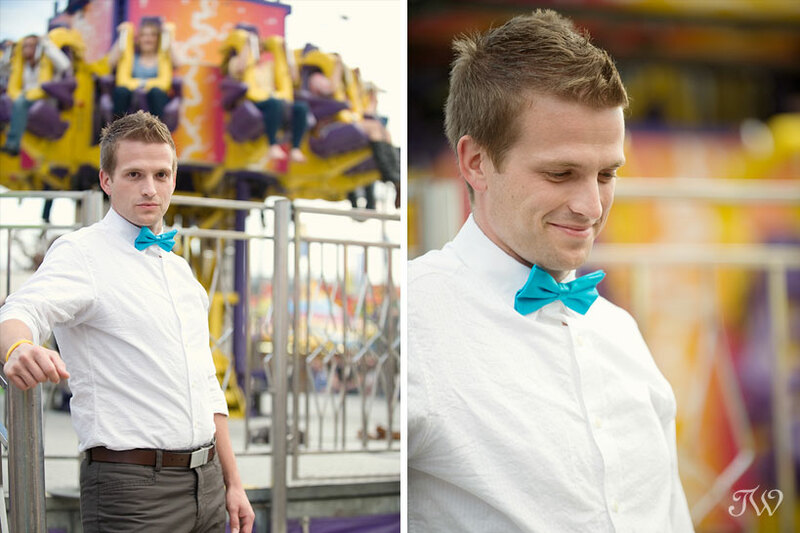 I had such a fun evening documenting them while they took in the Stampede sights. 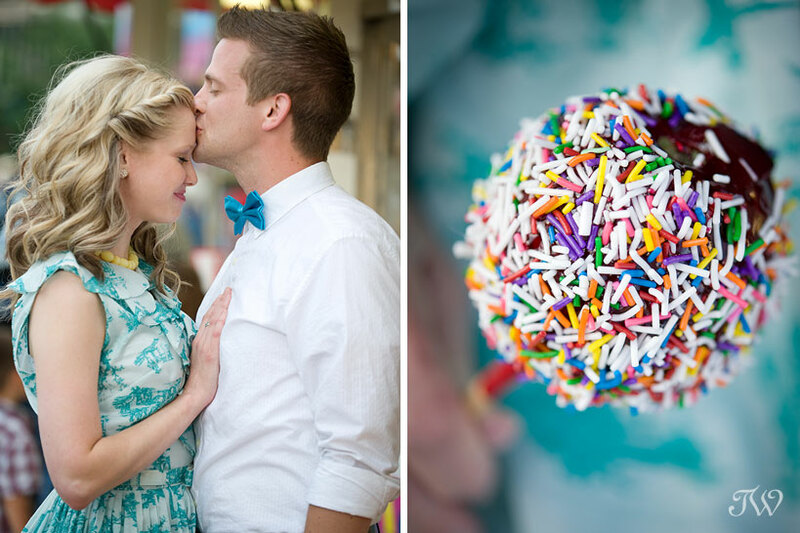 I love it when couples put a personal stamp on their session. It leads to so much more than pretty pictures. 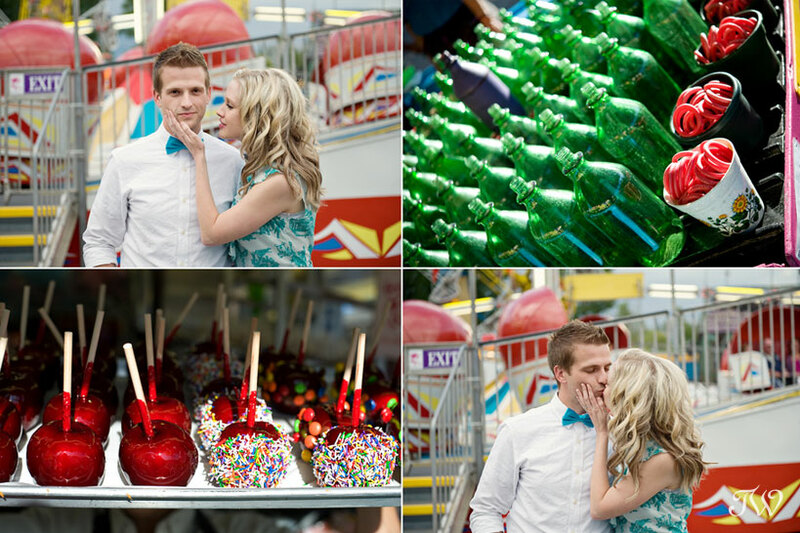 Thanks to this lovely lady who saw us shooting and ran out with a candy apple for Kristin and Jon. Sweet! 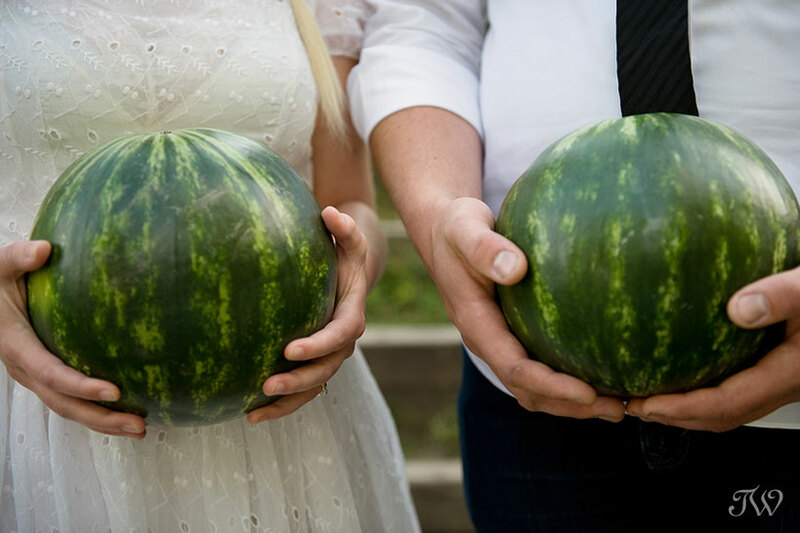 Cara & Dave are a lovely, considerate and down-to-earth couple and it was truly our pleasure to take their Bow Valley Ranche wedding photographs. The fact that the wedding took place at Bow Valley Ranche Restaurant, was just the cherry on top. The food is top-notch and the location is brimming with old Calgary charm. Congratulations Cara & Dave! A lot of thought and planning went into this wedding. All of the vendors involved are listed at the end of this post. Be sure to check them out. Kudos to my 2nd shooter, Wendy Dixon, for catching this sweet moment with the bride and her nephew. Wendy also captured this shot of the groom bringing his bride down the aisle.